Cheltenham Gold Cup winner Coneygree is unlikely to take up the challenge of landing the Triple Crown this season, despite the addition of a � bonus fund by Jockey Club Racecourses. Mark Bradstock's runner became the first novice chaser in more than 40 years to win Cheltenham's blue riband event last March, boldly running from the front to repel all challengers for a famous success under Nico De Boinville. 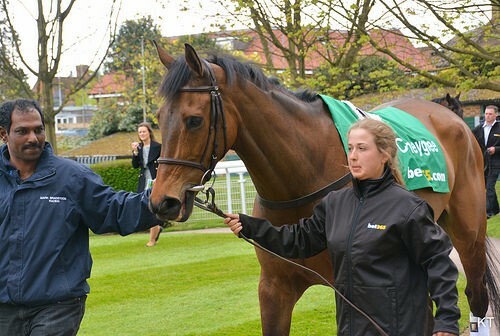 Returning to Prestbury Park in the spring is his ultimate aim and he is being targeted at Newbury's Hennessey Gold Cup for his main pre-Christmas assignment, with Coneygree available at 41.00 on betfair when this article was produced to maintain an unbeaten record in the season ahead. Jockey Club Racecourses have announced their decision to reinstate the jackpot payout for any horse that wins the Betfair Chase at Haydock in November, the King George VI Chase at Kempton on Boxing Day and the Cheltenham Gold Cup. The announcement is expected to generate renewed focus in the build up to Haydock's marquee chase at the end of November. Coneygree however appears unlikely to turn up at the Merseyside venue, despite Bradstock's wife and assistant trainer Sara confirming he will be entered in the race. The Bradstock team had made their intentions known to head for Newbury where they would take a stab at one of the season's most prestigious handicaps, the Hennessey. There are already striking similarities between Coneygree and Denman, twice a winner of the Hennessey off top weight either side of his own Gold Cup triumph in 2008. The Paul Nicholls inmate was dubbed 'The Tank' for his bold front running racing style and Coneygree would need to prove every bit as brave should he roll up at Newbury and attempt to match the former Ditcheat star by giving weight away to the entire field. Coneygree is scheduled to have a pipe-opener at either Carlisle or Sandown in early November to get him back into the swing of things for his second season as a chaser. While Newbury is currently rated as Plan A for Coneygree, Sara Bradstock had admitted the "the �illion bonus might sway us but we won't go there (Haydock) because of it." 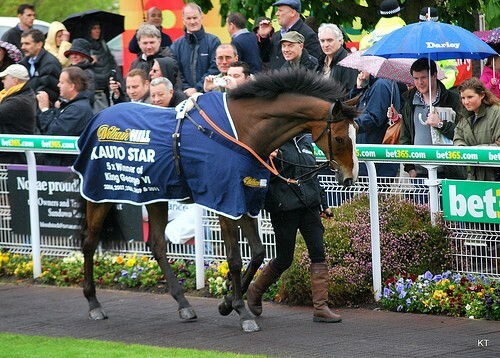 The last horse to achieve the feted Triple Crown was the great Kauto Star for trainer Nicholls in 2009. The champion trainer scooped two of the three races last season with Silviniaco Conti but he could finish only seventh at Cheltenham behind Coneygree. Silviniaco Conti has proved himself a specialist around both Haydock and Kempton but has yet to prove he can replicate that form in the Cotswolds. Nicholls stated in the wake of his Gold Cup blowout last March that he may not return for another go, but he too could find himself swayed by the lure of the jackpot prize should Silviniaco Conti pocket the first two legs. Whether or not he must get the better of Coneygree at Haydock next month to do so remains to be seen.